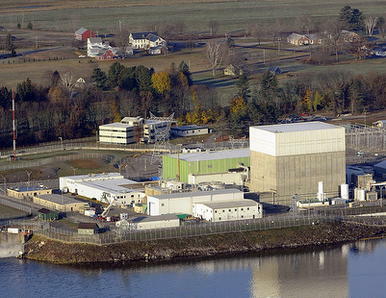 For Sale: Vermont Yankee Nuclear Power Plant. Used, unpredictable radioactive leaks, occasional fires, poorly run, financially indebted, locally unpopular, politically shunned and currently not working. $180 Million – Or Best Offer. “Selling an old nuclear plant is like trying to build a new one,” said economist Mark Cooper of the University of Vermont Law School’s Institute for Energy and the Environment. “No one in their right mind would buy it or try to build it today. Most of the projects that have been proposed in this country have been delayed or abandoned. The simple fact is that the economics of nuclear power today are terrible and the market for these things is just not there. The company does not have a lot to explore. The plant is turned off while Entergy officials try and plug a leak of radioactive fluid from 40-year-old pipes serving the reactor. “This latest incident at Vermont Yankee definitely hurt,” said Justin McCann, senior industry analyst in Standard & Poor’s Equity Division. “They announced they are looking to sell and two days later this radioactive leak had to happen and force a shut down. At the same time, they had an explosion at Indian Point. The collapse of Entergy’s $180 million, 2002 cash investment in the nuclear power plant providing 30% of Vermont’s electricity, and its larger, mortgaged, purchase of the troubled twin reactors at Indian Point on the Hudson River in 2001, signal a remarkable reversal of fortunes for a well respected power company and the once high-flying prospects of the nation’s nuclear power. The billion dollar corporation’s rating by Moody’s Investor Service has dropped to Baa3 – just one step above what is professionally termed “speculative grade” but is generally known as “junk” status. Moody’s noted in September when it lowered the company’s rating that Entergy has borrowed $3 billion of its $3.5 billion line of bank credit for its nuclear operations and continuing problems at Vermont and Indian Point raised questions about the plants’ future ability to finance repairs or replace and maintain aging equipment and systems. “In addition, lower (natural gas) prices in the Northeast make it highly unlikely that the business will continue to generate as much cash flow” when current contracts expire in 2012, and will decline after that Moody’s stated. Entergy, like the rest of the nuclear industry, bet its future on an exorbitant, continually rising, natural gas price which did not materialize due to the recession, energy efficiencies, and the increasing availability of huge natural gas supplies from previously locked shale sediments. Hydraulic fracturing may threaten future water supplies, but it has already begun draining the nuclear bank. Entergy’s two troubled nuclear plant sites – Vermont Yankee and Indian Point – have graphically shown the strengths and weaknesses of the nuclear industry and the extremely high hurdles involved in launching a new commercial nuclear era. On the positive side, these plants are extraordinary money makers, with Indian Point’s plants each earning upwards of $2 million daily. Nuclear plants nationally had a checkered operating past under the monopoly utilities like PSEG in New Jersey and Con Edison in New York, where Indian Point was offline two thirds of the time. But deregulation brought in professional fleet operators like Chicago-based Exelon, which partnered with PSEG in New Jersey to run Hope Creek and Salem; and Entergy, which bought Indian Point 2 and 3 and turned them in to steady, baseline generators producing electricity and making money 95 percent of the time. That wasn’t easy. Entergy pumped some $500 million into Indian Point to replace decrepit, unreliable, and unsafe equipment and to retrain nearly the entire operating staff. Within two years, Entergy improved Indian Point’s standing with the Nuclear Regulatory Commission (NRC) from that of the worst run plant complex in the nation to one of its best. At that time, deep pockets and corporate good will meant a lot. 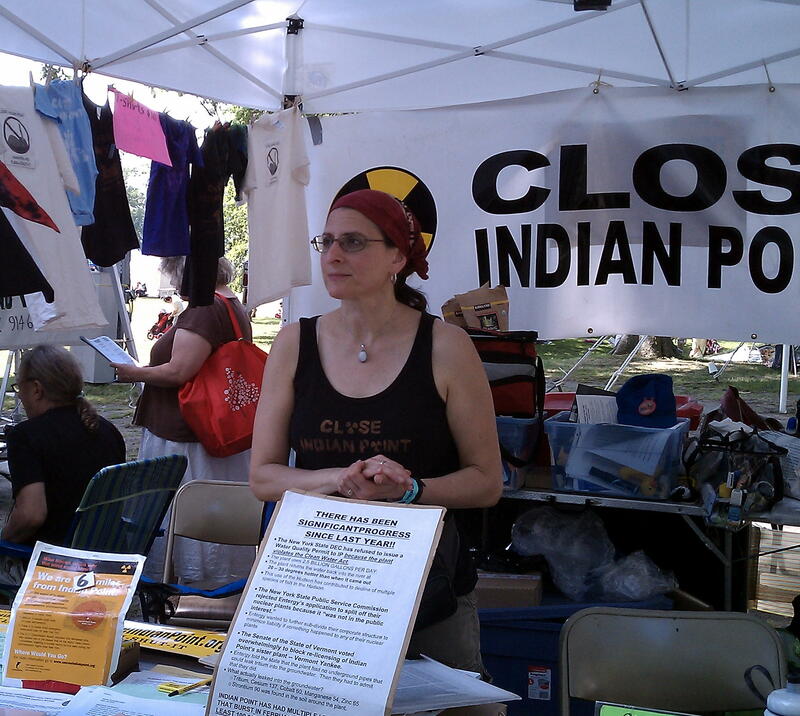 The purchase of Indian Point 2 was held up for nine months due to legal challenges by the Westchester Citizens Awareness Network – the sister unit of CAN, Vermont Yankee’s grassroots nemesis. WestCAN contended that Entergy Nuclear Northeast, (ENN), the Limited Liability Corporation running the power plants, did not have the financial wherewithal to cover damages to the region should anything go wrong. 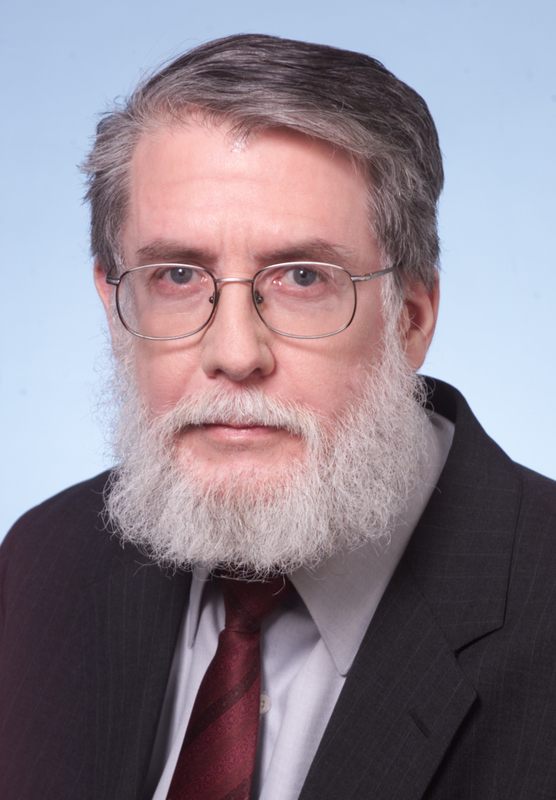 That position was finally rejected by a Nuclear Regulatory Commission Administrative Law Judge who held it was “inconceivable” that Entergy Corp would ever walk away from liabilities incurred at Indian Point even though it was legally shielded by a string of 21 LLCs under the ENN umbrella set up just for that purpose. Entergy officially took over Indian Point September 10, 2001. It was a 24-hour, Pyrrhic victory. The following morning, a United Airlines 767 flew over the Indian Point plants en route to crashing into the World Trade Center 25 miles south in Manhattan. Collateral damage was the destruction of the industry’s myth that nuclear containment buildings were designed to withstand the crash of a 747. The NRC acknowledged that jumbo jets did not exist when these plants were designed in the 1950s and early 1960s, and they were, in fact, vulnerable to suicide attacks. 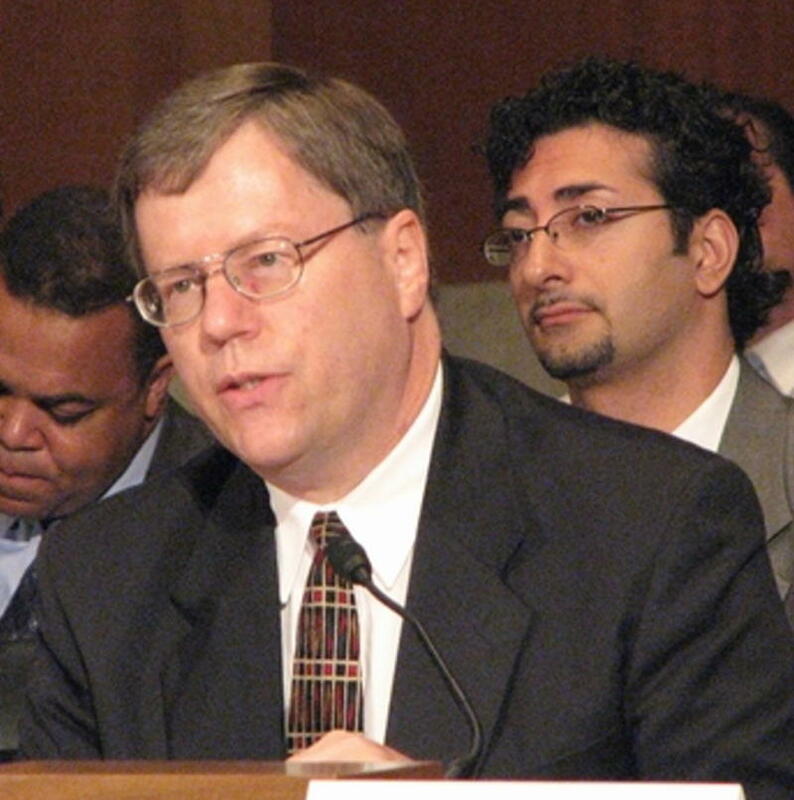 In 2003 former Homeland Security Commissioner James Lee Witt was hired by New York State to examine the emergency evacuation plans for the region around Indian Point. He concluded they could not possibly work and detailed flaws which had been systematically covered up by Entergy. That prompted the surrounding counties and the State to refuse to sign off on the plans and further tarnished the company’s image. Three of the four surrounding county legislatures and scores of school districts within 10 miles of Indian Point went on record urging the NRC not to relicense the plants. Then, in 2005, Hurricane Katrina blew away another pillar of nuclear stability. Entergy Corp declared its damaged Entergy New Orleans LLC subsidiary bankrupt, and demanded the taxpayers pay some $600 million for repairs. President Bush rejected the request, saying it was obscene for the company to demand taxpayer funding while distributing dividends of more than $1 billion to its shareholders. In the end, however, the company received some $400 million in public funds towards the restoration of its damaged power plant. But that shattered the myth of corporate responsibility so carefully constructed during the Indian Point court hearings just four years earlier. It would be noted by Public Service Commissions around the nation. But Entergy was confident. In 2006 they filed applications with the NRC to extend Vermont Yankee’s license 20 years past its 2012 expiration date. The following year they applied for extensions for Indian Point’s reactors, which are due to expire in 2013 and 2015. It was then that the bottom began to fall out of the nuclear bubble. The aging infrastructure designed a half century earlier began showing signs of wear at nuclear sites around the country. Water contaminated with radioactive byproducts of reactor operations – including heavy elements like plutonium, iodine and cesium – were leaking out of the nation’s 104 nuclear plants, including Indian Point and Vermont Yankee. The nation’s worst radioactive leaks into the local environment occurred at Exelon’s Braidwood plant, 30 miles south of Chicago. “Exelon leaked over six million gallons over two years,” said David Lochbaum, nuclear safety director for the Union of Concerned Scientists. “Braidwood had two leaks of about three million gallons each, and 18 smaller leaks of about 300,000 gallons. It came as a surprise to most people that nuclear power plants, touted as “clean and safe” energy, regularly dump contaminated water and steam into the ground and air by design. It was unfathomable that neither the NRC, with its highly regarded corps of on-the-scene resident inspectors, nor the operators of the highly technical plant, nor its vaunted, redundant, electronic safety systems missed six million gallons of radioactive fluid dumped by accident. Adding to the consternation of the public was the refusal of the NRC to impose financial penalties on the company for unplanned contamination, no matter how severe, even though it violated their operating license and federal regulations. 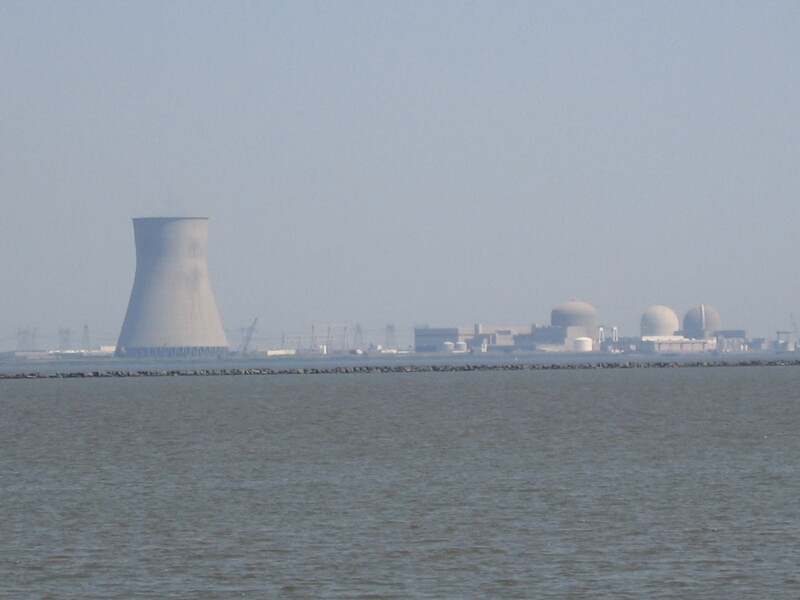 The State of New Jersey, however, did order Exelon to clean up its mess when groundwater under Exelon’s Salem nuclear plants was discovered. But there were no financial or administrative sanctions from federal regulators. And all the nation’s 104 nuclear plants have had leaks at some point. In 2008, it was disclosed that thousands of gallons of tritium, a radioactive form of water, had been leaking out of Indian Point, forming a lake under the plant site with its contaminated tributaries meandering into the Hudson River. It was impossible for either Entergy or the NRC to state definitively how long the leaks had gone on, how much had leaked out into the river and water table, or even how many leaks there were. The NRC found indications, however, that the site had been leaking for eight years. That was a final straw for then-New York Attorney General Andrew Cuomo, who set up a special task force to challenge the relicense application for the Indian Point plants. It did not take long for Cuomo’s group to find Entergy’s relicensing application was riddled with misstatements. A key section of the nearly 800-page document, the Severe Accident Mitigation Assessment (SAMA), purportedly showed that the only danger from a radioactive accident at the plant lay to the north, and the cost would be $403 million per square mile. But Cuomo’s analysis of the statistical data revealed Entergy had decided that since there were more days when the wind blew north than when it blew towards the south, the south did not count – as if it had been bested in a celestial tug of war. And since there were equal days when the winds blew east or west, Entergy decided they cancelled each other out, as if they never existed. That logic meant in a catastrophic accident, no radiation could go south to New York City; southwest, covering northern New Jersey down to Newark; east as far as Hartford, Conn; or west past the Delaware Water Gap into the Pennsylvania Poconos. In Entergy’s scenario, most of the 21 million residents within 50 miles of the plant had nothing to worry about. That defied logic and the experience of radioactive fallout from Chernobyl or, more recently, the ash clouds from the Icelandic volcano which spread all over Europe and forced the grounding of the continent’s air fleets. New York with its 1,000-page challenge became the only state to put its weight against a nuclear relicensing plan. And that raised more doubts on Wall Street about the financial viability of nuclear power. Entergy hedged its bets. In August, 2009, it asked the Public Service Boards of New York and Vermont to approve a spinoff of its six northeast nuclear plants into a separate subsidiary called Enexus – which would start life with about $3 billion in debt. The two state agencies separately and unanimously concluded in September that the debt was too high and the competitive, wholesale energy market too low for Enexus to be a viable company. “There are a lot of questions as to where this company is going,” said Michael Haggerty, vice president of Moody’s Power and Utility Group. “Other companies have been reducing their outstanding capital liabilities, but Entergy did not. They announced over the weekend a share buyback program for $750 million and a dividend increase and they are sending more cash to their shareholders. That question loomed large in both states. 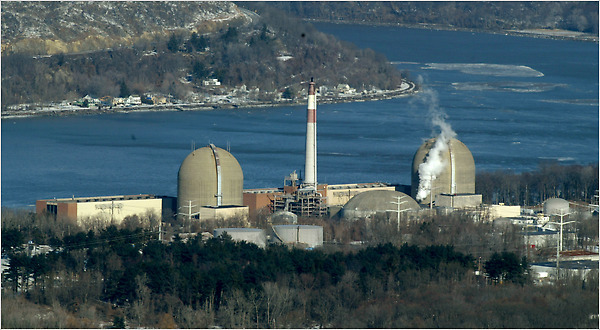 The New York Department of Environmental Conservation ordered Entergy to install new, closed cycle cooling systems at Indian Point and stop using billions of gallons of Hudson River water to cool its equipment. The retrofit could cost between $400 million and $1.5 billion, depending on the type of system used. And the plants would have no income during the two to four years of construction. It remains an open question whether Entergy, with its financial belt tightening, will have access to sufficient capital to handle the project and any unplanned events. Then, in November, 2009, a monitoring well at Vermont Yankee picked up contaminated tritium moving through the water table. Entergy could not find the leak until February, 2010. That proved embarrassing. Entergy officials had assured the Vermont legislature, under oath, that there were no underground pipes which carried radioactive liquids and, therefore, there were no aging systems which could threaten the region’s water. The declarations were false. Vermont has a unique arrangement in Entergy. As a condition of the purchase in 2002, Entergy agreed to seek the approval of the state legislature in addition to clearance from the NRC for both the initial operating license, and any license extension. Entergy asked the legislature for another chance. “Entergy said they would have an independent investigation of their underground pipes and wiring,” said former NRC Commissioner Peter Bradford, now at the Vermont Law School. “It turned out the study was by a DC law firm that was representing Entergy in the Indian Point relicensing proceeding. The sale offer should not have come as a total surprise. In August, The New England Independent Services Office, which regulates the regional power grid, held its fourth annual futures auction. The auction, which was started in 2008 and is unique to the New England ISO, locks in power commitments – though not the price – for specified future years. “We have enough capacity in New England to meet demand and ensure our reliability standards and reserve margins through 2019,” said ISO spokes woman Ellen Foley. But there was a surprise during the two-day August auction, intended to lock in power from June, 2013 through May, 2014. Entergy contacted the ISO at the end of the first day and asked to withdraw and make no future commitments. “They submitted a bid to withdraw from the capacity auction during the auction itself,” Foley said. That triggered an analysis on the part of the ISO to determine if we could let them delist. We declined the request because of reliability concerns around the area of Vermont. Vermont Yankee is a regional transmission hub, with electricity from several sources passing through its high voltage lines. Rerouting that power would be difficult in the short term. But since the ISO can’t make Entergy produce electricity if it shuts down entirely, the agency is making long term plans for a possible future without the nuclear plant in it. In the meantime, Entergy is left committed to maintaining a transmission network it may not use, produce power from a plant which may or may not have a license to operate, and may not be able to afford producing electricity even if it gets permission to do so. That would be an extremely expensive way to boil water. The disastrous economic outlook for nuclear power keeps on getting worse with time. Only a politicallyy subsidized bailout-guarantee can save the economic illusion that money can be made before everything collapses. If anything wver was a sure loss it is nuclear power, the more money the government sinks into guarantees, hoping to put off a future claim, the more expensive the ultimate settlement will be. The political pundits in the DC Beltway can only find “coomon ground” in the further subsidies to the nuclear industry. It is up to the people to fight it. Black’s Law dictionary does not provide what I think slander is. I think that slander is telling the truth for a bad reason. It sure seems that way to me. I wonder if it is a good idea to tell the truth about VY nuke before money changes hands, and we wind up stuck with the present licensee or worse.